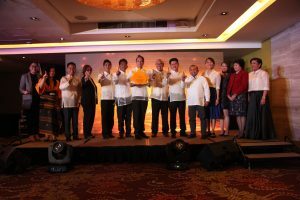 Members of the Juvenile Justice and Welfare Council (JJWC) and jubilant local officials of Barangay Mintal, Davao City make the number one sign, as the barangay’s good practice, Dragon Boat Team, was adjudged as the top winner in JJWC’s first ever Search for Good Practices in the Implementation of the Juvenile Justice and Welfare Act (JJWA). This was the message of Rey Bargamento, village chief of Barangay Mintal, Davao City as he received the top prize during the awarding ceremony for the first ever Search for Good Practices of LGUs Implementing the Juvenile Justice and Welfare Act (JJWA) earlier this week. The awarding ceremony kicked-off the weeklong celebration of Juvenile Justice Welfare Week (JJ Week) from November 26- 30 with this year’s theme, “Lipunan, Bata at Magulang, Sabay-Sabay Para Sa Kaunlaran.” It was organized by the Juvenile Justice and Welfare Council (JJWC), an attached agency of the Department of Social Welfare and Development (DSWD). 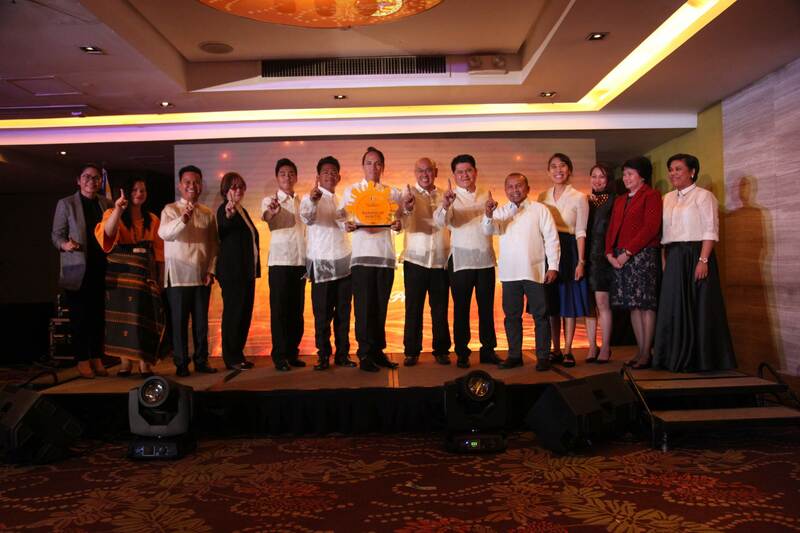 The other awardees were Dapitan City, Zamboanga del Norte, second place; and, San Fernando City, La Union, third place. Barangay Mintal got the top recognition for organizing a dragon boat team dubbed Mintal Dragons, composed of children in conflict with the law (CICL) and children-at-risk (CAR). Formed in 2015, the creation of the sports team became part of the LGUs diversion program for CICL. The dragon boat team participates in a sports activity called dragon boat racing which promotes core values such as respect, discipline, and self-worth, at the same time enabling the team members to focus their time and effort to worthy endeavor and healthy competition. “The intervention program proved to be successful, since Barangay Mintal now has zero CICL,” Brgy. Capt Bargamento proudly claimed. On the other hand, Dapitan City created the Juvenile Rescue Team to respond to the increasing number of CAR and CICL in the area. Organized on October 16, 2014, the Juvenile Rescue Team is composed of representatives from the City Social Welfare and Development Office, Philippine National Police (PNP)-Women and Children Protection Desk, and Barangay Council for the Protection of Children. Seen as a major component of the Juvenile Rescue Program of the city government, local government executives allocated funds for capability building activities for team members to further enhance their skill in dealing with CICL. Meanwhile, San Fernando City, La Union has their Task Force Reach Out which addresses the needs of adults and children on the streets by providing appropriate skills that will enable them to meet their basic needs. Seen as a preventive strategy, this initiative aimed at reducing the number of children who engage in unlawful activities just so to survive the day. A resolution was passed by the City Government of San Fernando La Union, creating the Task Force on Anti-Mendicancy, and Appropriating Funds Therefore for the implementation of its plans and activities. In a related activity for JJ Week, JJWC also organized the “Talakayan: Positibong Pagdidisiplina at Pagiging Epektibong Magulang Para sa mga Bata,” participated in by solo parent members of the Federation of Solo Parents Luzvimin and Brgy Sikatuna BCPC. Carina Javier, President of the DSWD Central Office-Solo Parent Employees’ Organization (DSWD CO-SPEO) and Federation of Solo Parents Luzvimin emphasized the need for responsible parenting, especially for solo parents, in guiding their children. “There is also no such thing as a ‘broken family,’ because solo parents strive to fulfill their double roles, thus, a solo-parent headed household is not less of a family,” Javier underscored.